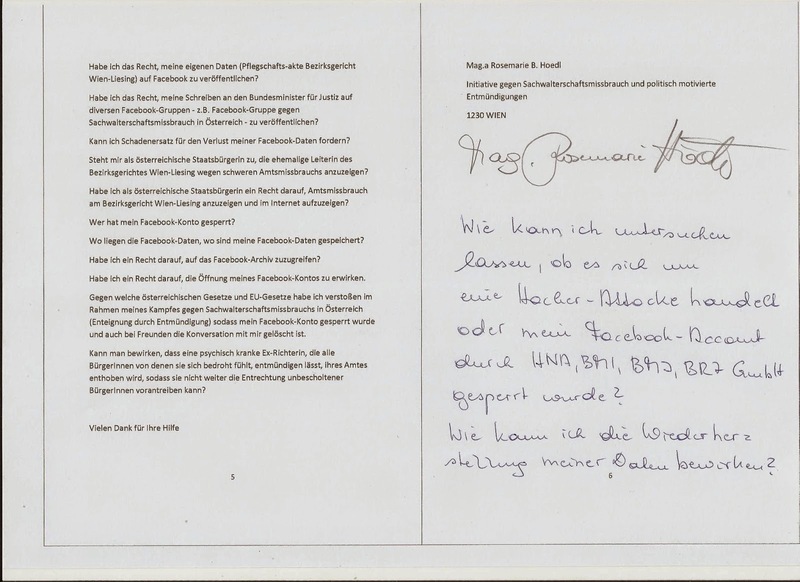 Nun wissen wir, dass in der Europäischen Union der Sprachgebrauch GUARDIANSHIP üblich ist. 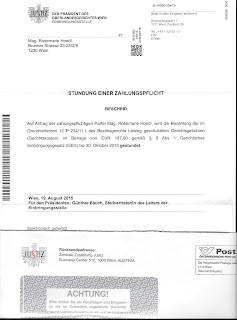 IST FOLTER IN ÖSTERREICH GRATIS? 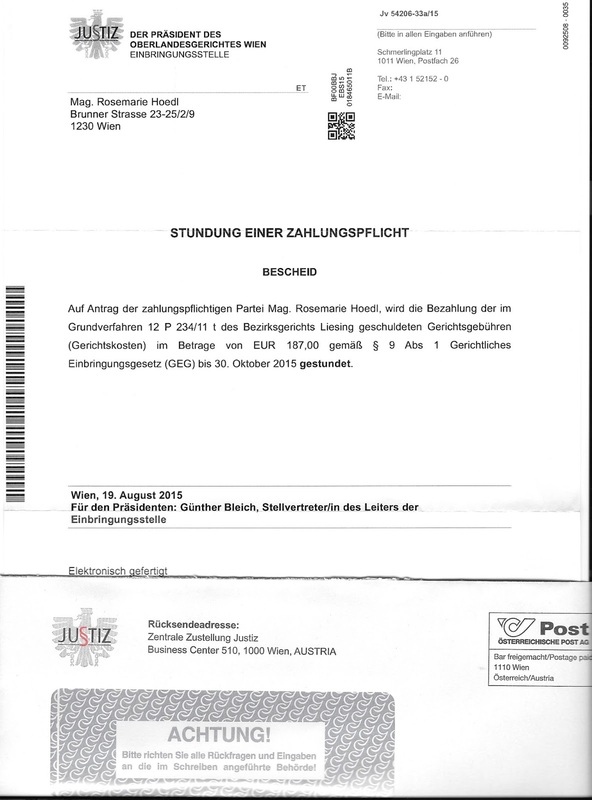 Bezirksgericht Wien-Liesing Geschäftsabteilung 12 erinnert daran , dass noch 187 Euro offen sind - Gerichtsgebühren, die nach meiner Kandidatur für den Nationalrat im Sommer 2013 erfunden wurden (damit ich nicht auf Urlaub fahren kann) sämtliche Briefe an den Leiter des Bezirksgerichtes wurden damals von der Post retourniert! 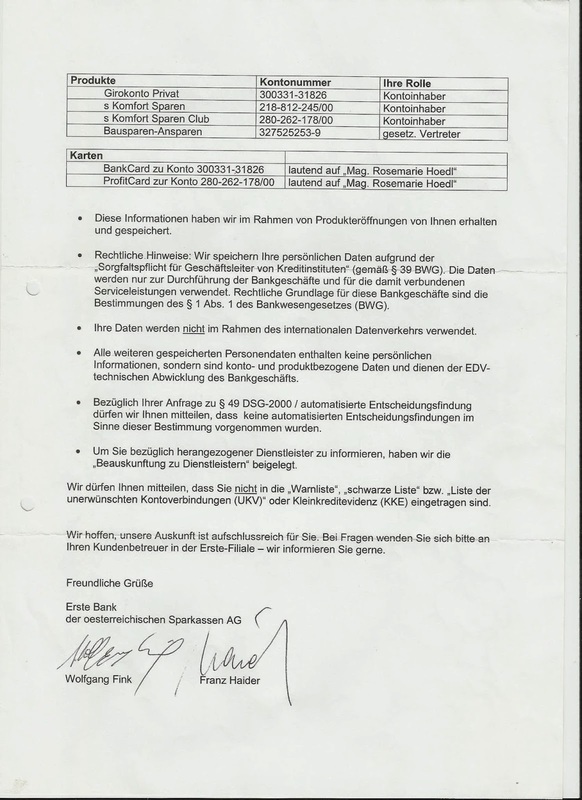 Entmündigungskonferenz 2009 ? - es gilt die Unschuldsvermutung? 2. 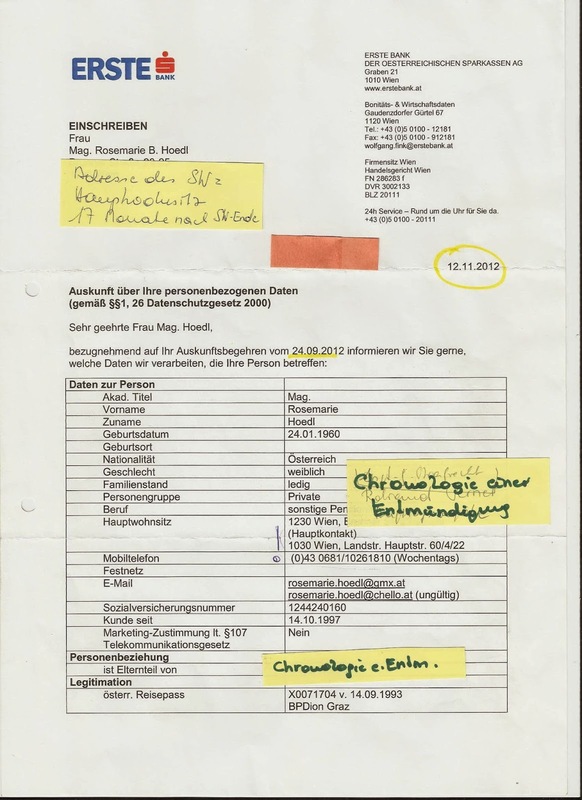 Die Lex Hoedl hat das Entmündigungs-Geschäft grundlegend verändert: es ist noch brutaler geworden, Menschenrechte sind in Österreich nicht mehr durchsetzbar. 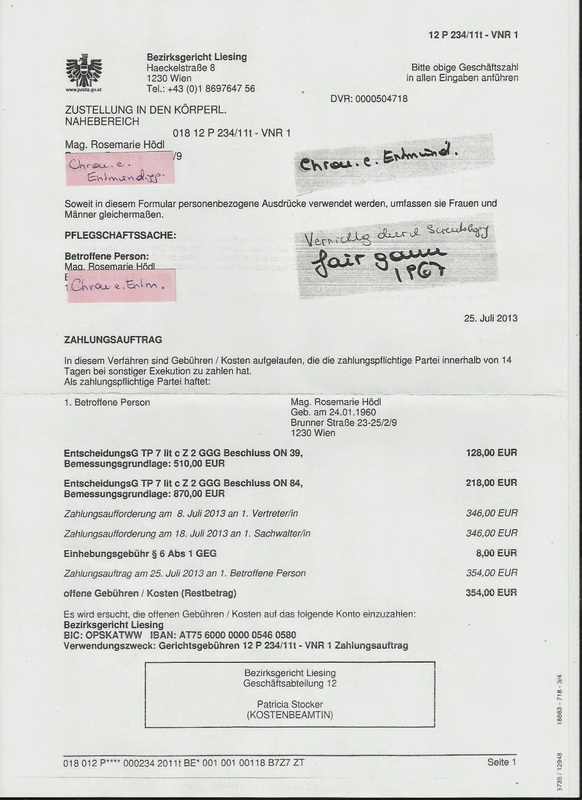 und in der Europäischen Union! 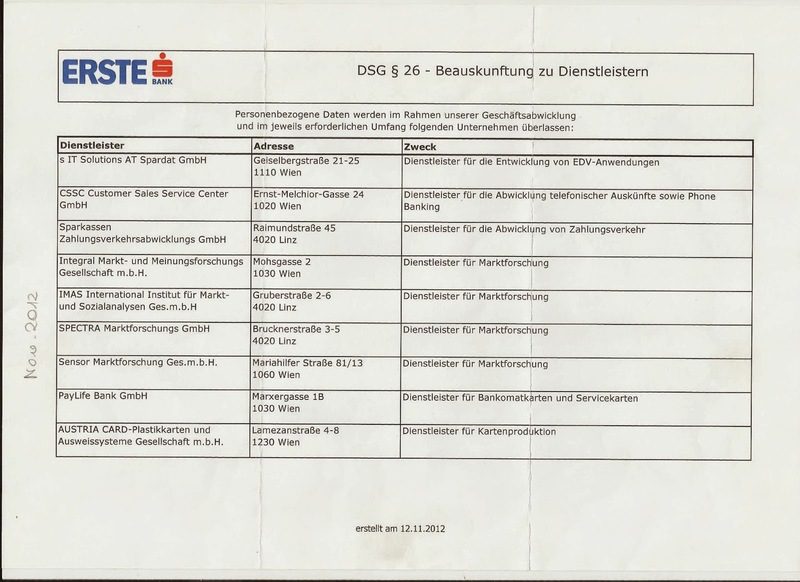 Aber niemand ist zuständig! 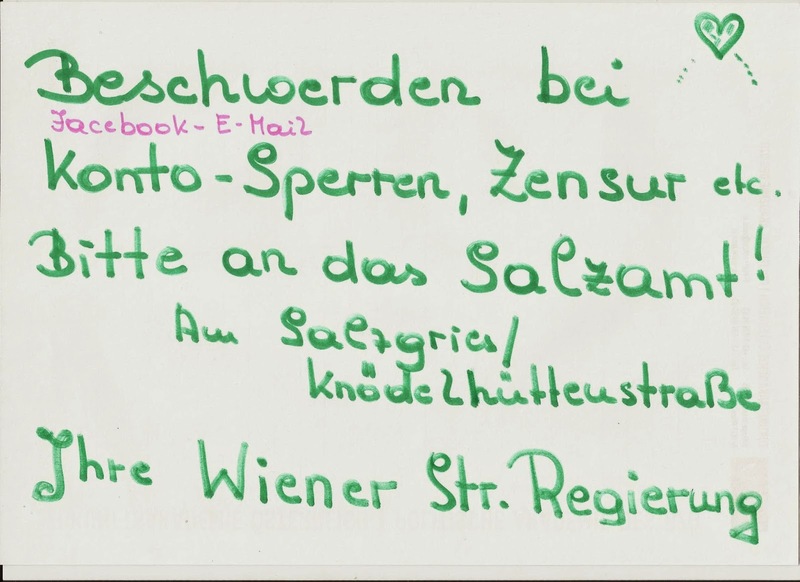 Beschwerden sind offenbar - wie man bei uns in Wien sagt - an das SALZAMT zu richten. 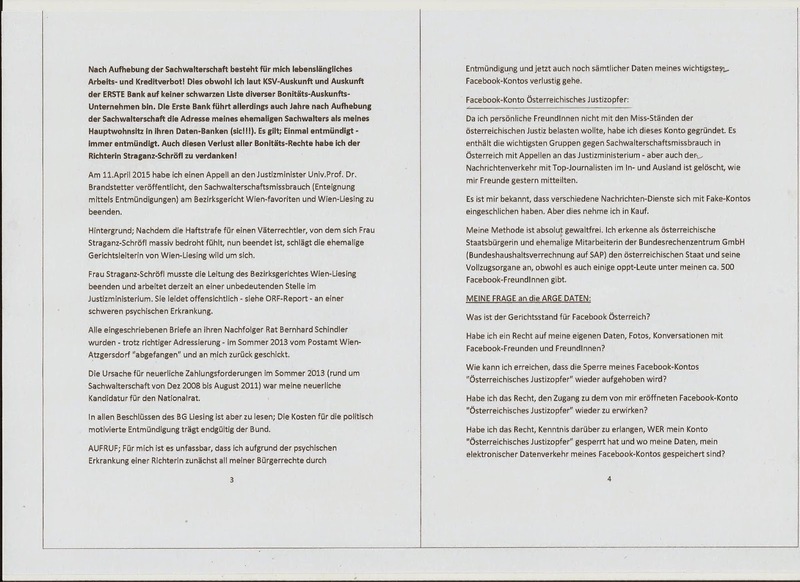 Ich habe eine Anfrage an die Datenschutzbehörde Irland gestellt. 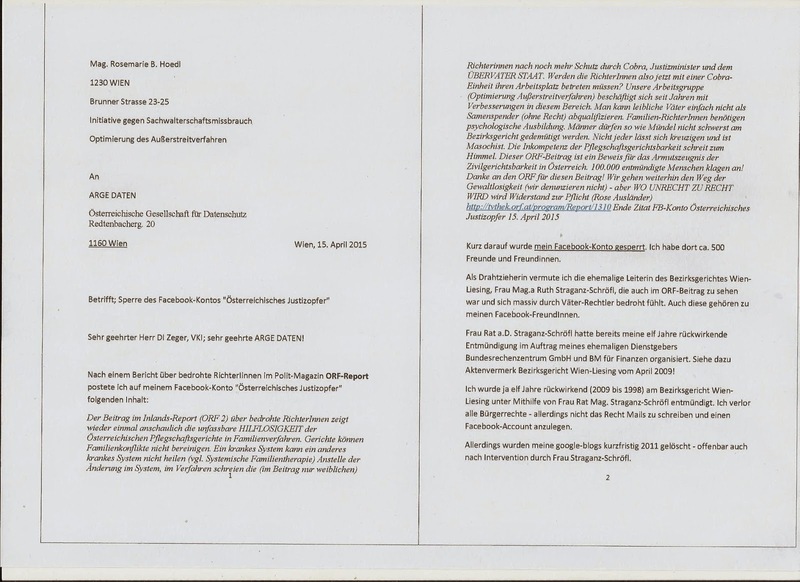 Ich habe eine Anfrage an die ARGE Daten Wien geschickt (auch in Briefform). unfortunately my Facebook-account "austrian victim of courts" was closed. I am very sorry because I had about 500 friends added. 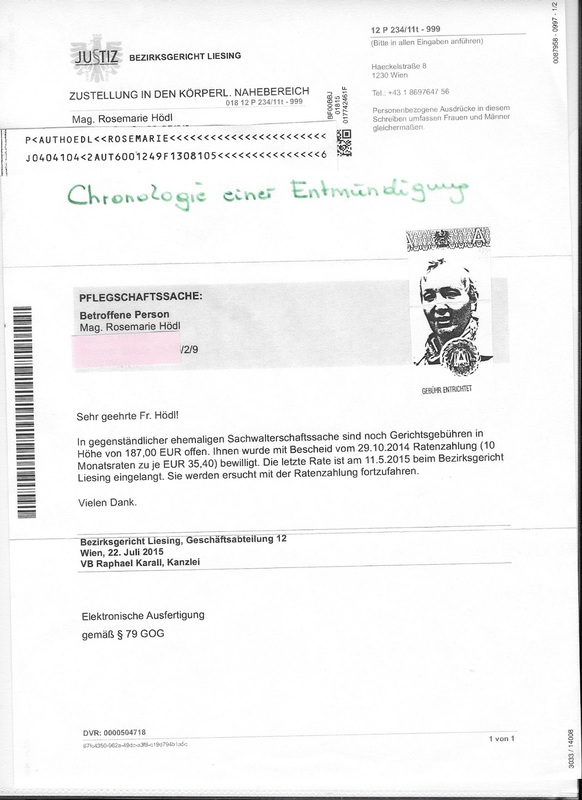 My AIM was and is to help people under personhood, people with no human rights, there are about 100.000 victims in Austria. They have no human rights and their houses and flats (appartments) are stolen. They have to live and die in very bad institutions for old, sick, mentally ill people. 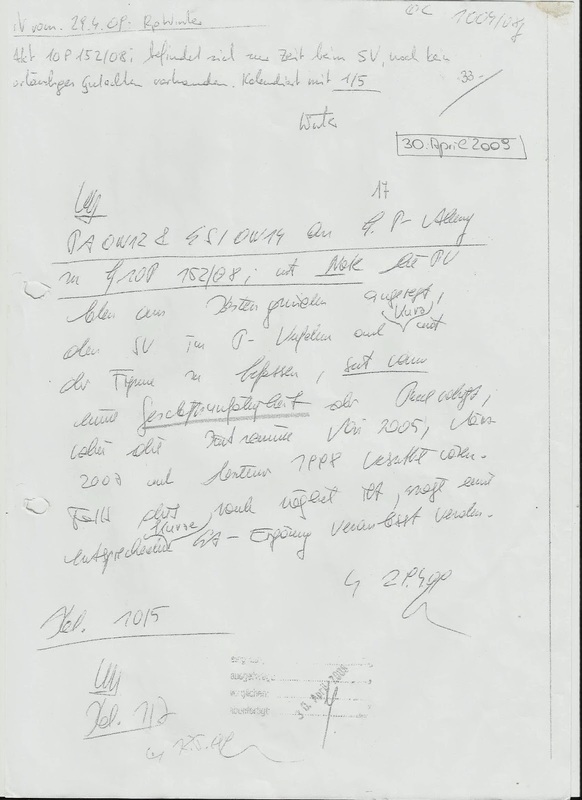 But sometimes people lose their civil rights only because they know too much or they wrote some very secret things as reporters and journalists at their Web-Sites. 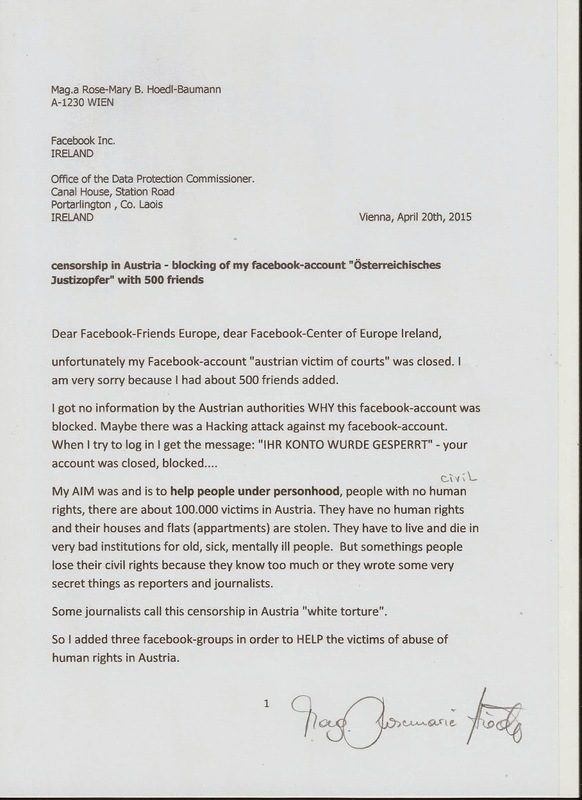 Some journalists call this censorship in Austria "white torture". 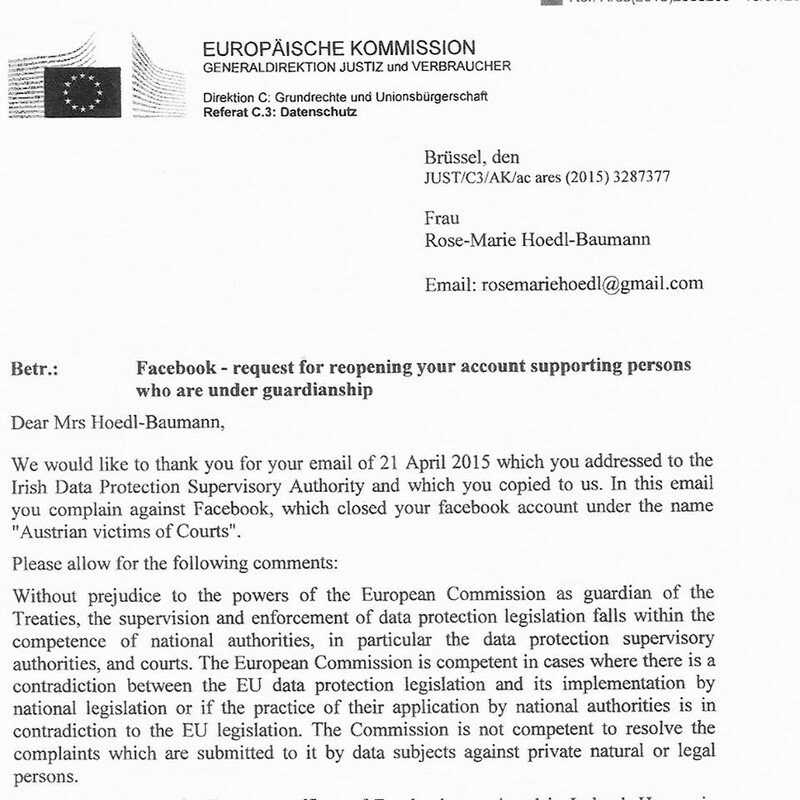 So I added three facebook-groups in order to HELP the victims of abuse of human rights in Austria. 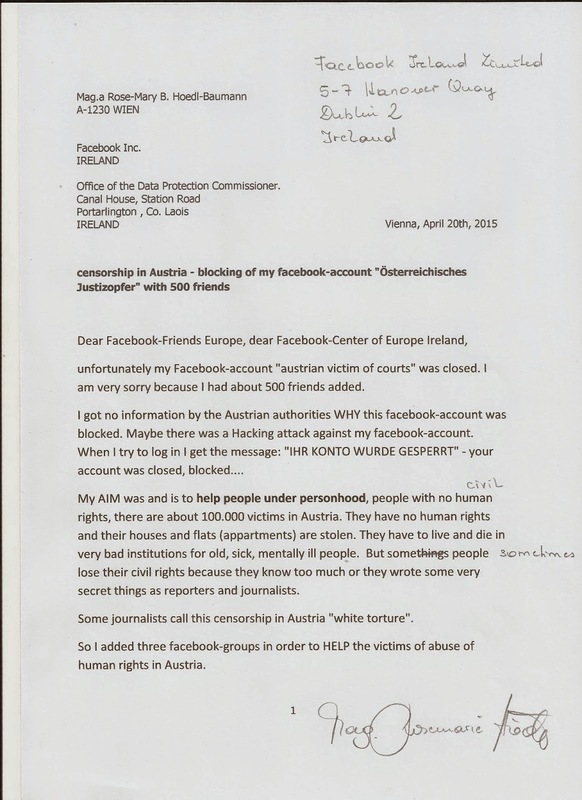 I also founded a facebook-group for victims of abuse of human rights in Austria. 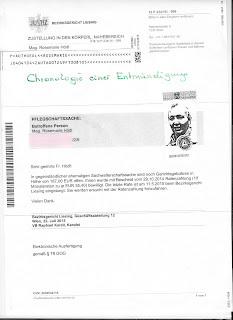 I myself was under personhood (although I have academic degrees and studied at the University Graz, Austria) and lost all human rights from December 2008 until August 2011. 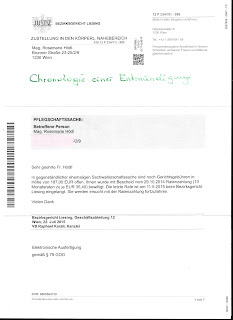 I had no right to go to court and to complain although there are a lot of causes of action because I LOST all human rights by personhood which is called SACHWALTERSCHAFT! There is a banner on me - I am not allowed to work, although I am well educated for instance as an consultant for the software SAP. I am not allowed to get a credit at the bank. I do not exist as a human person, although the personhood is finished. 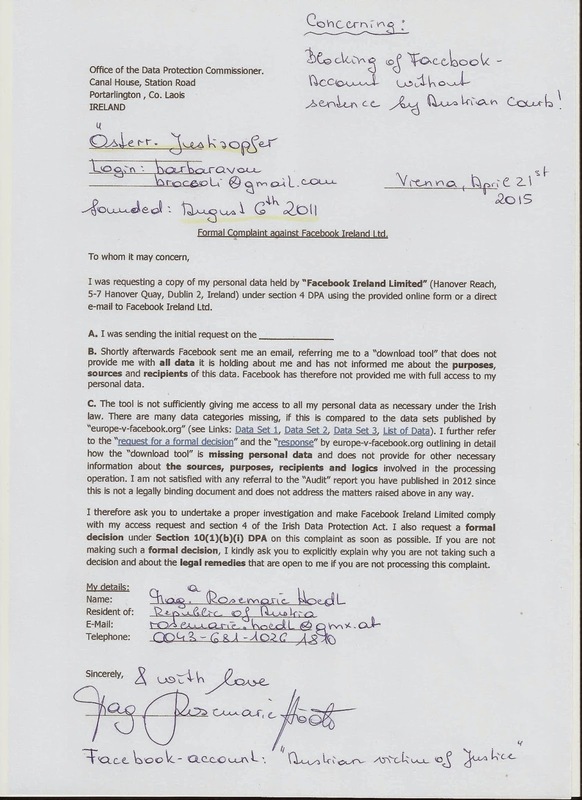 I was annointed as a suppressive person - concerning the fair game-order 67! 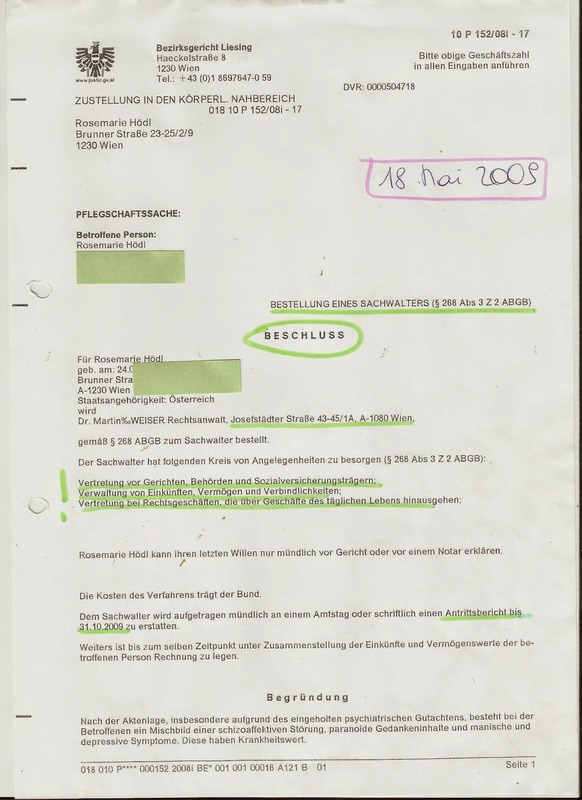 The reason why I lost all human rights, all civil rights was: I have been witness for some murder and illness in the ministries of Austrian government. 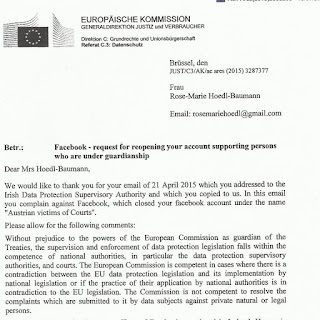 Could you help me to get an access to my facebook-account "Österr. 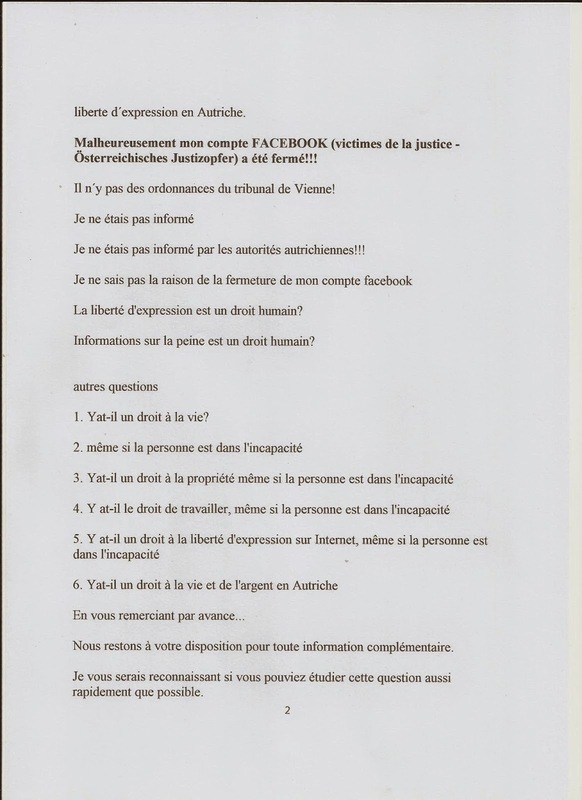 Justizopfer" (which I founded in 2011) again - also to the facebook-groups I added. 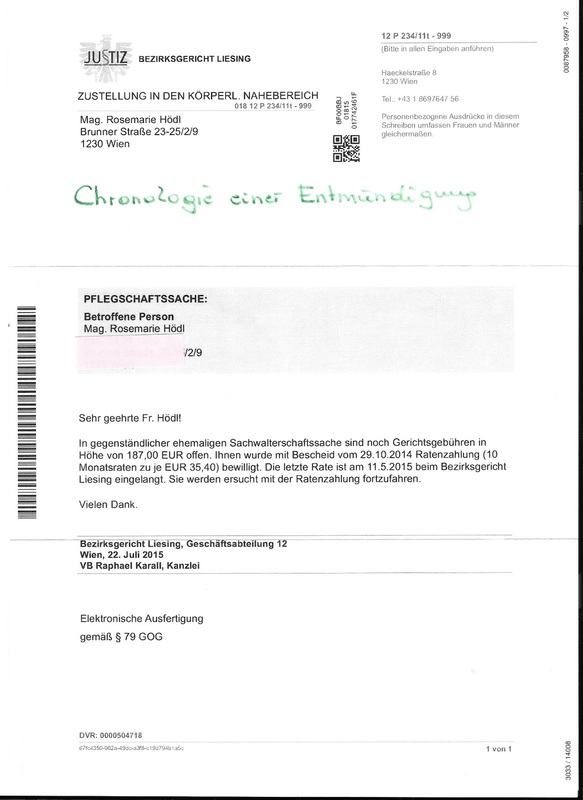 I hope that you can talk or write to the Austrian authorities (for instance Minister of Justice Dr. W. Brandstetter) to help me and to get a log-in again. 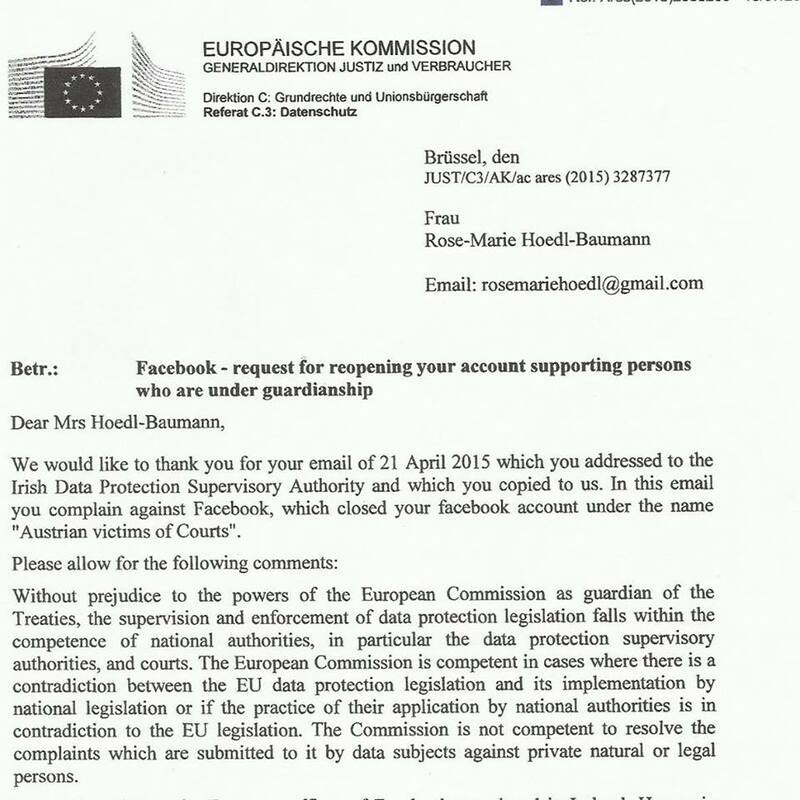 I suppose that my facebook-data are saved on different servers in Facebook-Centers in Europe and around the world. 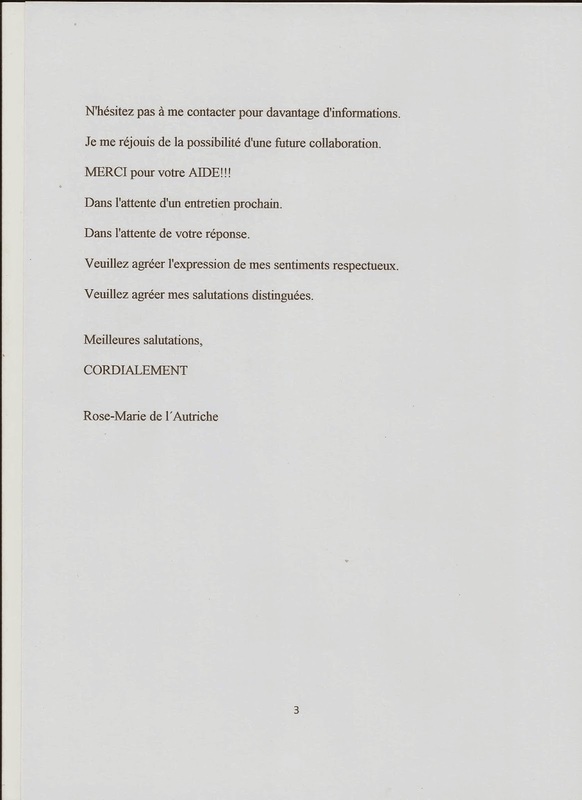 This letter is just a draft - I will translate in French and Spanish language also - maybe also Russian, Chinese and serbo-croatian! 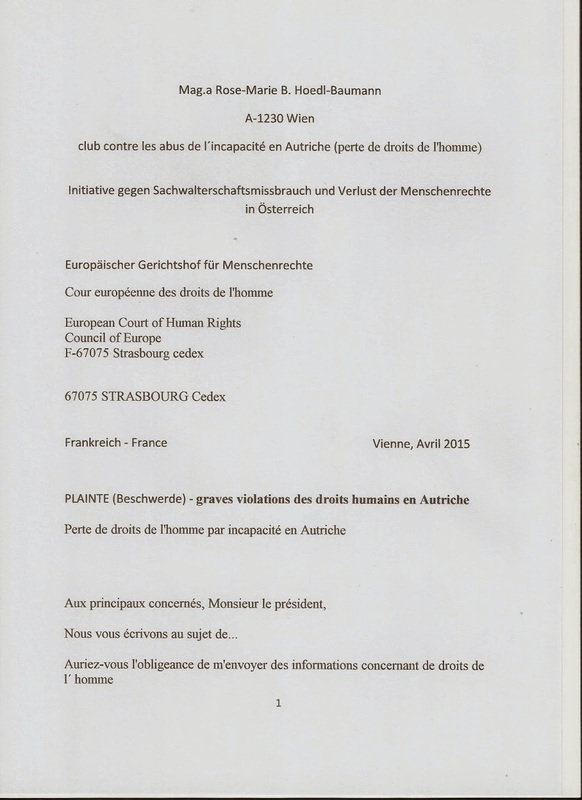 The French translation will be necessary for the European Court of Human Rights! 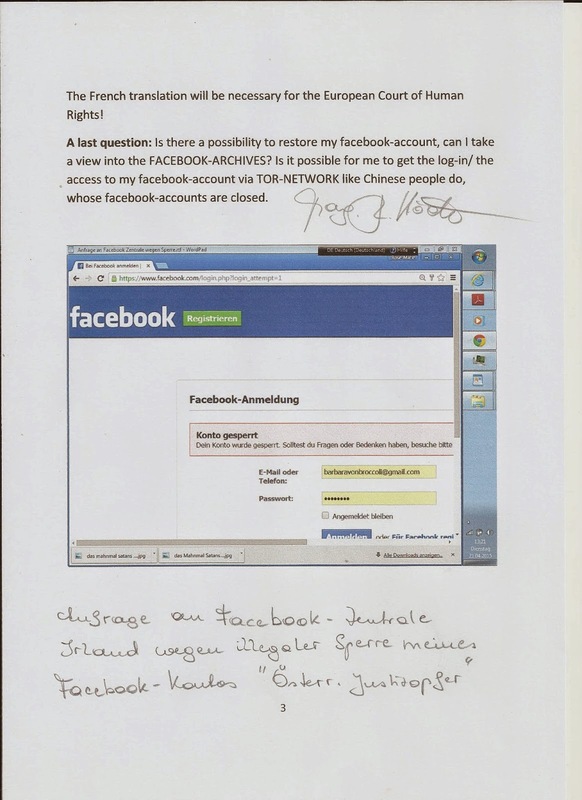 A last question: Is there a possibility to restore my facebook-account, can I take a view into the FACEBOOK-ARCHIVES? Is it possible for me to get the log-in/ the access to my facebook-account via TOR-NETWORK like Chinese people do, whose facebook-accounts are closed.